ESteem cultivates and establishes a trend for today and tomorrow. ESteem has produced top class models working actively at home and abroad on behalf of Republic of Korea and has been a success story playing a great role in fashion industry’s growth and domestic model business’ development since 2004 when we started business in fashion event planning and model management. ESteem has settled as No.1 creative enterprise setting new trends in the field of fashion, beauty, art & culture and lifestyle expanding its business into influencer management for the first time in Korea, on top of designer, artist, entertainer as well as model. ESteem currently represents and manages over four hundred artists with different attractions including models, entertainers, designers, creators and influencers. And we continuously make success stories with them through various events such as advertising, marketing, communication, brand collaboration, fashion show, exhibition and culture projects. Moreover, ESteem is now actively engaged in producing music, short film, television series and new media contents. In addition to this, ESteem is about to open a new chapter by bringing its successful business at a global level. We are confident to lead trend on the international stage based on extensive experience and network we have gained especially our artists’ outstanding talent and positive influence. ESteem is supporting strategic marketing activities including promotion and endorsement of artists, contents business and brand partnership as well as financial affairs, accounting, personnel and legal affairs as holding company of its subsidiaries and business units including ESteem Entertainment, Speeker, ESteem Model, ESteem Works and Mixcon. ESteem initiatives strategic business plans to develop a clear future direction and vision. ESteem Model aims to provide management specializing in nation’s top-class fashion models at home and abroad as well as discover and foster next generation models. A team of professionals in fashion studio produce various events and contents relating to fashion and beauty such as fashion show, magazine editorials, events and brand campaigns to represents the models in the best way. ESteem Model also actively seeks and provides an opportunity to enter the global stage of top fashion magazines, collections and brand ambassador activities. At the same time, EStudio, academy specializing in fashion modeling provides systematic training and incubating programs to foster the new and young models. Mixtage, a professional artist agent, represents and foster the careers of the highest caliber talent in photography, videography, creative direction, styling and beauty. ESteem ENT is a fully integrated management company championing creative talent through career-elevating representation in the field of television, motion picture, theatre, book publishing, and digital content. 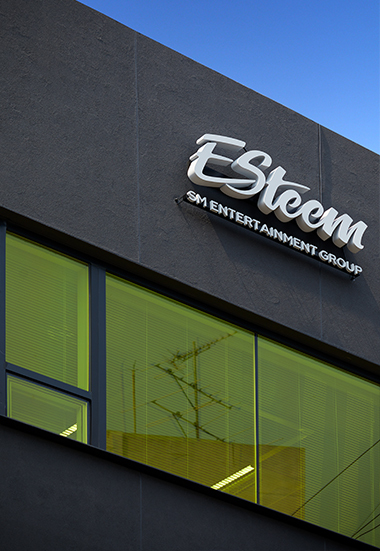 In addition, ESteem ENT produces its own video contents such as web dramas and web entertainment programs and carries out various projects through collaboration with a number of channels including independent movie, television program and new platforms. ESteem Works create spaces and contents for fashion events, brand projects, fairs and exhibitions by providing professional consultation in close collaboration with multinational luxury brands. ESteem Works also operates large scale fairs and events hosted by Seoul Metropolitan City. Mixcon is a content producer specialized in new media platforms encompassing a wide variety of genres from well-made dramas, movies, shows, podcasts, and crossovers based upon entertainment. Trendy yet stimulating contents coupled with charming ESteem artists are designed to attract the ‘Digital Native’ generations. Speeker that was established based on partnership between ESteem and SM Entertainment Group is one and only influencer management in Korea. Speeker represents a diverse group of influencers, from emerging artists to the most established, prominent personality in their field. ‘Contents Business’ team provides designer/brand consulting, visual directing and contents production, whereas ‘Design Business’ team helps you to develop artwork and design related goods. ‘Brand Management’ team consults new designers and supports their business in at home and abroad.